The Avid Reader: Thread Herrings: A Mainely Needlepoint Mystery by Lea Wait plus a Giveaway! Thread Herrings: A Mainely Needlepoint Mystery by Lea Wait plus a Giveaway! Lea Wait lives on the coast of Maine. 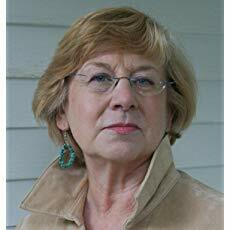 A fourth-generation antique dealer and the author of the Agatha-nominated Antique Print Mystery series (which I enjoy reading), she loves all things antiques and Maine. She also writes historical novels for young people set in (where else?) nineteenth-century Maine. Visit her at leawait.com. Follow Lea on Facebook and GoodReads. 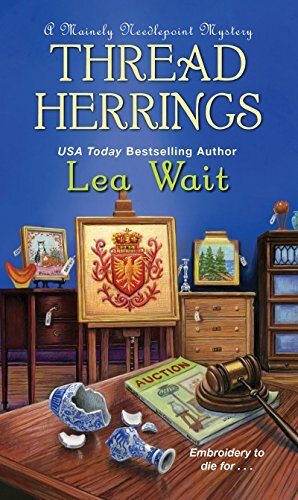 Thread Herrings by Lea Wait is the seventh story in A Mainely Needlepoint Mystery series. Angie Curtis is the manager of Mainely Needlepoint in Haven Harbor, Maine. Angie is accompanying her friend, Sarah Byrne to an auction in Augusta. Angie has not been to an auction previously and is looking forward to the experience. Angie is intrigued by a half-finished vintage framed needlepoint coat of arms that is not in the best condition and she spontaneously bids on it when none of the other participants show interest. At home, Angie removes the needlework from the frame and finds a pale silk blue embroidered ribbon along with receipt from the London Foundling Hospital dated October 26, 1757 for a child baptized Charles. Angie wants to learn more about the coat of arms and the child, but she is unsuccessful at the Maine Historical Society. She has lunch with Clem Walker, friend and television reporter, who suggests doing a human interest feature and appeal to the public for information. Instead of receiving helpful material, both ladies receive death threats. Soon Clem is found shot dead in car in Haven Harbor and Angie’s car goes boom injuring someone close to her. Angie goes into hiding, but she this does not deter her from investigating. Can she identify the culprit before he finds her? 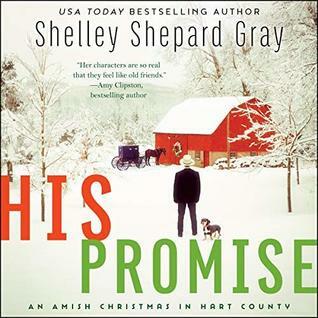 Thread Herrings can be read alone if you have not indulged in any of the previous novels in A Mainely Needlepoint Mystery series. Angie goes to her first auction and her friend, Sarah kindly explains auction protocol. Since I have not been to an auction, I found it interesting. I had no idea there was a buyer’s premium added to the hammer price (winning bid). I could tell the author did her research on the London Foundling Hospital, land patents or grants, the billet or receipt for the child and mementoes parents left behind as identifiers (to later claim the child). Lea Wait incorporated the information in a way that made it easy to understand. Ruth Hopkins helps Angie with genealogy research, but we see very little of the other Mainely Needlepoint group. Patrick West is in town and Angie hides out in his finely appointed carriage house. Personally, I am not a fan of Patrick and I keep hoping they will break up. Patrick comes across as superficial (especially when he was discussing the yacht that could only sleep eight). Angie needs a partner with more depth and who is interested in sleuthing. The mystery plays out with clues interspersed up to the reveal. Angie must solve the mystery via phone since she is unable to go out in public which is a unique way of investigating the crime. Readers are unable to play along and solve this whodunit. I could have done without the frequent (I stopped counting after six) mentions of Angie’s gun (a Glock). Angie does manage to indulge in cooking, dining out friends (before the death threats), drinking fine wine, playing with Trixi (her kitten), watch movies, handle business details and check in with Gram. As the action heats up in Thread Herrings, you will find yourself riveted. You cannot help but keep reading to discover how the story plays out. Thread Herrings is available at Amazon, B&N, Kobo. The next novel in A Mainely Needlepoint Mystery series is Thread on Arrival which comes out on April 30, 2019. In honor of the tour, Lea Wait is hosting a giveaway. You can click here to enter or use the Rafflecopter form below. 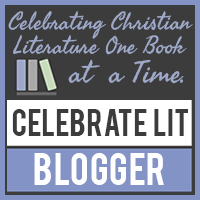 Make sure to leave a comment on my blog for an extra entry and visit the other stops where you can read their review and an excerpt from Thread Herrings. Thank you for visiting today. I am featuring His Promise by Shelley Shepard Gray. I hope you have a blessed All Saints Day. Take care and Happy Reading! I've not been to an auction either & think the protocol would be interesting to learn. Love the cover and the book looks so good. The cover is fantastic and the storyline sounds good. Good luck with your book.